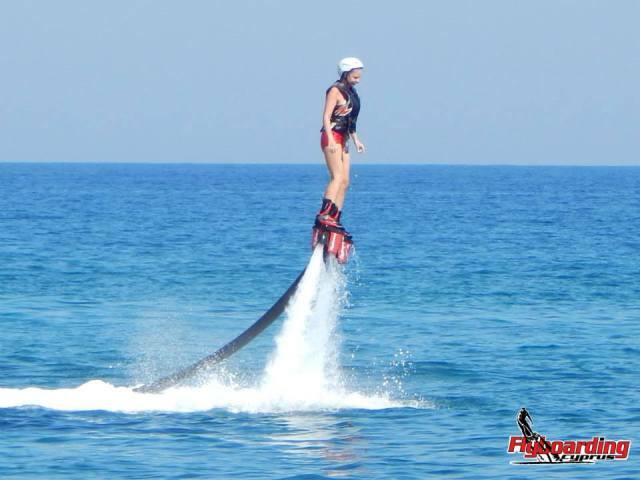 Flyboarding is a new experience in Ayia Napa and is the most exciting watersport that exists. A flyboard is a water propelled device that allows the user to fly above the water and perform freestyle tricks. ​An unforgettable activity, flyboarding is a must for adrenalin junkies and extreme watersports fans. 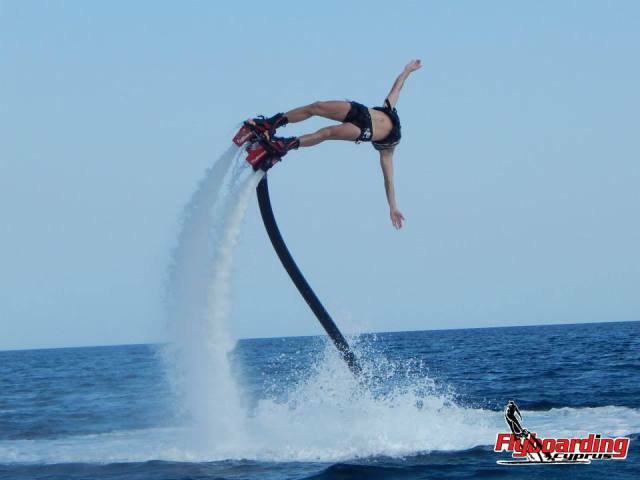 Flyboarding is now available in Ayia Napa with professional instructors (who also just happen to be competitors in international flyboarding championships). Safety is a priority with helmets and life jackets provided. 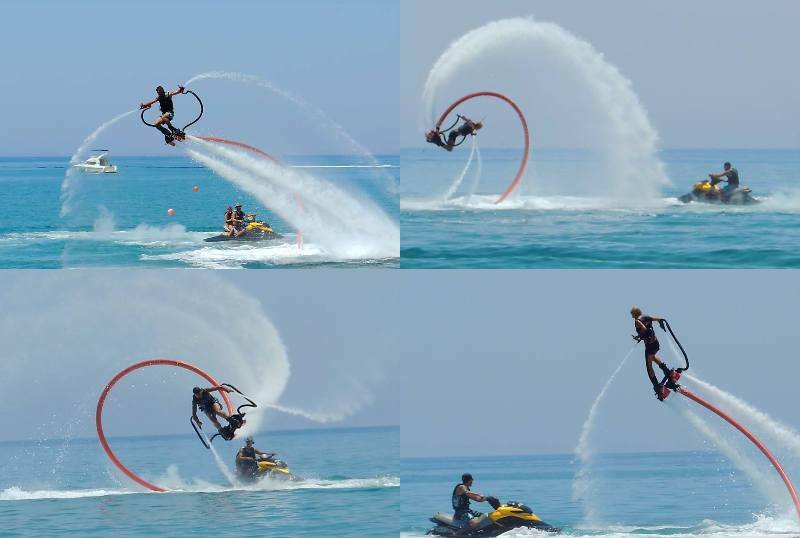 The equipment is the latest technology in personal water crafts and contains the flyboard which is attached to a personal water craft which propels the user through air and water. Flyboarding was invented in 2011 by Franky Zapata, a former world champion jet ski racer and is the fastest growing extreme sport in the world.